At Capytech, we are very often developing e-learning modules in both English and in Arabic. To be honest, we’d struggled to find an Arabic font that matched what we wanted to achieve aesthetically in our products. Then along came Dubai Font. Dubai Font was announced April 2017 by Shaikh Hamdan Bin Mohammad Bin Rashid Al Maktoum, Crown Prince of Dubai and Chairman of the Executive Council of Dubai. Dubai Font “fills a design gap between Arabic and Latin texts and presents harmonious typefaces combining the two scripts seamlessly.” said the organisers at the time. This solved a couple of problems known and unknown. Firstly, we now have a font that we can deliver our e-learning in multiple languages whilst maintaining the same look on each. Whilst I don’t read Arabic (I know I know! ), the Dubai Font is very pleasing to the eye in both its primary formats – and so far the feedback from clients has been very positive. Secondly, we’d never had a ‘company font’. We have Capytech blue as it’s been called by some, and of course our logo etc. The fact is that we had our website in one font, modules in another, proposals in yet another and it goes on and on. There was no consistency. 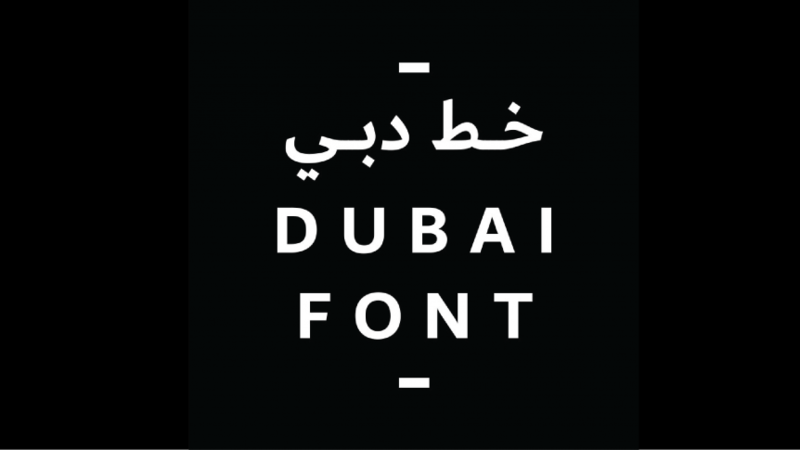 Now Dubai Font is our company font, and we’re thrilled about it. So here are some of the things that you will now see in Dubai Font and often in Capytech blue. So there you have it. I took a little work, but I’m thrilled with the result. Another great reason to do this was to tacitly support the initiatives coming from the visionary leaders we have here in the UAE. Whether it’s drones, renewable energy, driverless cars or a slew of other world leading initiatives – we are proud to be a UAE company and embrace the vision with both hands. So what are you waiting for? Get your company on Dubai Font. It’s available for free, is already within Office 365 and easily installable on most websites and applications.